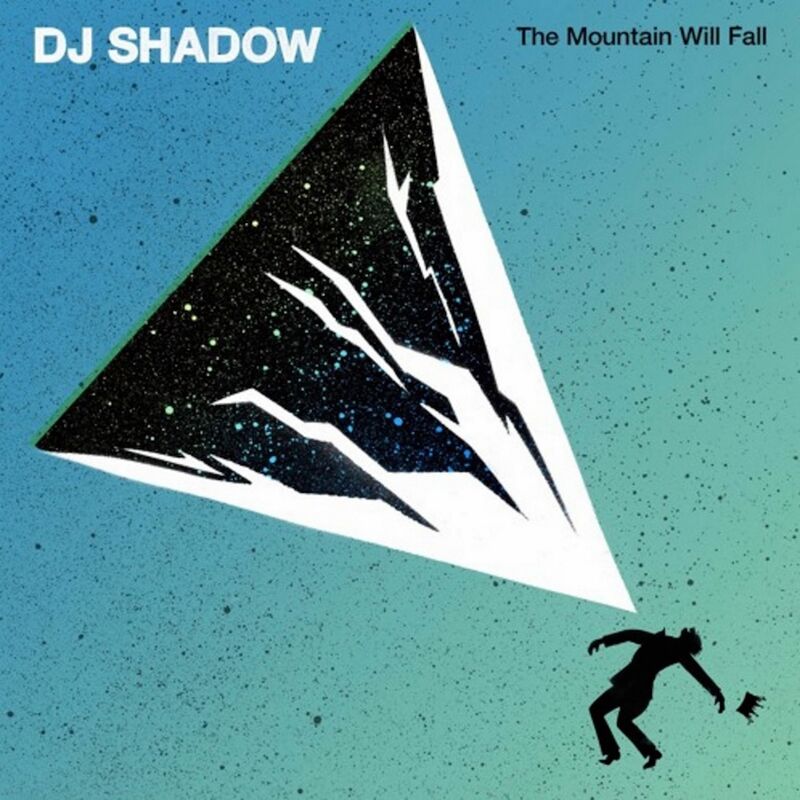 A simple Google search reveals that the title of DJ Shadow's fifth album The Mountain Will Fall could well be an allusion to the Biblical passage in Psalm 46 Verse 2: "Therefore we will not fear, though the earth give way and the mountains fall into the heart of the sea." If so, it is as much a testament of one's faith as is a reiteration of an aesthetic credo exemplified in his classic debut with Endtroducing… exactly two decades ago. In fact, the new title comes from a tweet Shadow, also known as Josh Davis, sent on the day he was starting to work on the album, to signal that he will conquer the unconquerable peak despite possible missteps. It is this mix of B-boy chutzpah and wide-eyed tribute that underscores his finest work. The listener experiences a vertiginous thrill, feeling every high and low, like a movie unfurling before his very eyes. Admittedly, The Mountain Will Fall does not have the overarching narrative nor reach the magnificent stratosphere of Endtroducing…, but there is evidence to prove that Davis remains relevant. He is, after all, the godfather to musical acts such as Australia's The Avalanches, who inherit his form of plunderphonics - the stitching of existing audio recordings, usually old vinyls - to form a new composition. In an age of unoriginal creativity, where vintage is repurposed for future consumption, Davis' modus operandi is prescient. The songs work as cinematic vignettes, not unlike a Tarantino mix-tape curated for a brand new hipster generation. He digs out a 1964 bluesy oldie Pitter Patter by the little-known girl group The Ultra-Mates and upholsters it with signature scratches and loops. He does not add gloss. Instead, he enhances the track's spectral elusiveness: how faraway the past is however hard you try to put it back together again. Sure, he does retro, but it is retro at its most joyful and least solipsistic. The Sideshow is a throwback to old-school hip-hop, featuring the ebullient flow of MC Ernie Fresh and with every scratch and turn amplified for maximum frisson. Nobody Speak is similarly a union of past and present: a sinewy, earthy, 1970s-styled blues-rock riff melded to boom-bap thuds and a standout rhyming cameo from the New York hip-hop supergroup Run The Jewels. But David can also go supernova, in a gleaming, high-tech collaboration with Berlin-based modern classical composer Nils Frahm called Bergschrund (German for a type of ice cliff found at high altitudes). Electronic beeps and thunderous shards of drum machine conspire to create a high-wire scenario of danger and excitement. Another intriguing tie-up is with Mancunian DJ and trumpeter Matthew Halsall, who lends his expertise to Ashes To Oceans. A plaintive ballad unfurling like memories unhinged from a dream, it features swift handclaps followed by a drum machine scuttling, before Halsall's lonesome horns accompany us home, wherever that may be.